Keiko Kitagawa (Sailor Mars in PGSM) has been cast in the new Fuji TV drama, Homeroom on the Beachside (literal translation: Classroom of the Sun and Ocean). She is going to play a rookie teacher at a preppy high school as a fresh graduate of the University of Tokyo. The show begins July 21st at 9PM. Keiko has said on her blog that she is anxious to play this role, because she does not have much drama experience – she’s only 21! Mew Azama (Sailor Jupiter in PGSM) is one of her closest friends, and they have known each other since before PGSM when they were modelling. Mew told her that although a lot is expected from her at that timeslot and for that role, that there are a lot of people who are supporting her and she should be confident and enjoy herself! Those words of wisdom from her fellow senshi have helped to clear her anxiety. On the official site of the show, if you click on Cast&Staff, you will see a blue box to the right of Keiko Kitagawa’s name. Click that to see an interview about the show with her! In other Keiko news, there are rumors that she is in a relationship with one of her costars from the movie Heat Island. His name is Ryo Kimura and he is 19 years old. It is rumored they spent the night in a hotel together after karaoke in May. We find it humorous that one of our news links pointed us to this. Keiko is also featured on a new, glamorous Coffret D’Or commercial, which can be seen here (for the one with Keiko, pick the one on the right side under Jul ’08). Keiko is also in the June commercials, she is wearing a blue dress that looks like it has a matching scarf. She spent two days working with Coffret D’Or on this campaign, one day just to shoot the 15 second and 30 second commercials, and the second day just to shoot the promotional stills. She was surprised at how long it took and how much effort was needed to do something so simple! Miyuu Sawai Has New Photobook, DVD and Movie! Miyuu Sawai (Sailor Moon in PGSM) released a new photobook at the end of May called Present and she has definitely taken a dip in the Gravure Idol pool. There are a lot of poses of her in bikinis. She made a few appearances at bookstores for signings at the end of May. 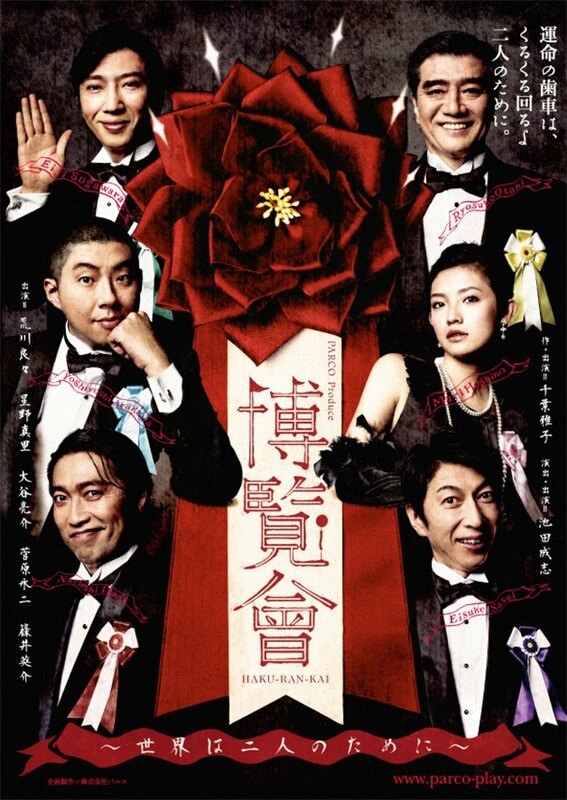 On June 20th, she released an idol DVD called Riyuu Sawai and we assume the title is a pun on the word “Real Sawai”. This one is supposed to show how she has grown up as a very charming woman, in traditional Japanese dress, to a swingy white skirt, and a blazing red dress. We probably won’t get the chance to look at any of these, but any of her diehard fans who want to send us in a review of the photobook and/or the DVD, we’d be happy to feature you in an upcoming article! Miyuu also has a role in the Japanese spinoff of Shaolin Soccer, called Shaolin Girl. This one is about a Kung Fu coach who works to rebuild her grandfather’s Dojo and joins her University Lacrosse Team. It looks really funny, and we managed to find a trailer subtitled in English for you all to watch! Chisaki Hama/Rika Izumi Returns to the Modelling Industry! Chisaki Hama (Sailor Mercury in PGSM) was really born Rika Izumi. However, her agency changed her name when she first started out because there was another idol by that name, and Chisaki Hama translates roughly to “Thousands of Flowers Blooming By The Shore”. She had disappeared not too long after PGSM ended and no one knew where she went. Occasionally other PGSM stars would write about hanging out with her on their blog, but they would not post pictures of her. There were rumors going around that she didn’t want to be in the entertainment industry anymore. Last week we learned that she has returned to modelling and is in the running for Pinky Princess (Princess of the Pinky magazine, we assume). She has definitely changed since the last time we saw her, and we are loving her new hair! We really hope to see her in more things soon! According to her entry, Rika is an avid Saxaphone and Euphonium player (there’s an instrument you didn’t expect to hear about!) and she has recently taken up aromatherapy and candle making as a hobby. She likes to watch movies, have homemade meals, and manicures. She is a big fan of Angelina Jolie and Audrey Hepburn, and loves to wear Jill Stuart. She is eager to learn anything she can to become a better model! Mew Azama Endorses MSN QuestionBox! Mew Azama (Sailor Jupiter in PGSM) was part of a trio endorsing MSN Japan’s QuestionBox. QuestionBox is a lot like Yahoo Answers, where users post questions and other users answer with information or opinions. The other idols part of the consulting party to promote the site were Shizuka Kondo and Moe Oshikiri. Mew is on the left side in the pink top in the picture. 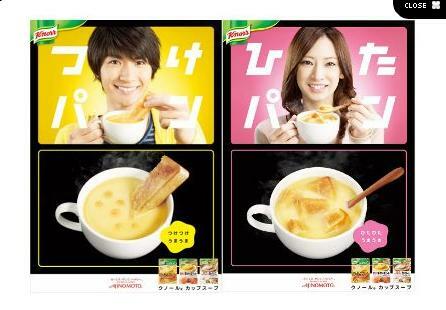 Mew commented on her blog that they were given Honey Milk Latte at this event and that it was delicious. She looks forward to reading other people’s opinions on QuestionBox. Ayaka Komatsu Appeared in New Drama! Ayaka Komatsu (Sailor Venus in PGSM) just finished playing a waitress on the NTV Drama Bambino. 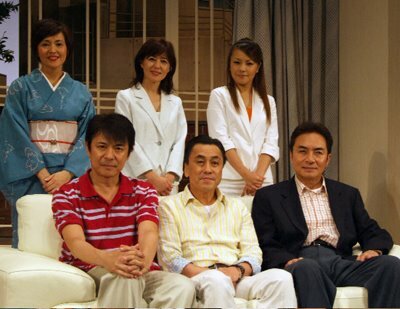 This show was about a college student who travels to Tokyo’s upper class district of Roppongi from his home in Fukuoka to work in an Italian restaurant. He aspires to be the best Italian chef, and endures many hardships in this new place. Ayaka played Minakawa Kozue, a waitress whose smile could warm even the saddest of souls. The show just ended a few weeks ago, however it was very popular with viewers, scoring at least 2.5 million plays! 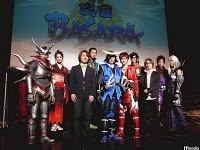 The show has been renewed for a second season, and Ayaka will be returning in her role. We saw the show’s first episode and really like it, so along with the Mop Girl recaps, we hope to bring you recaps of this show. Aya Sugimoto Tries Her Hand At Flamenco! 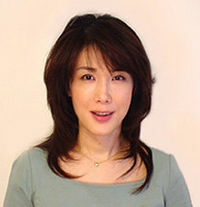 Aya Sugimoto (Queen Beryl in PGSM) is best known for being a writer of novels for the older crowd. We just learned she has in fact, returned to the TV screen, as a Flamenco Dancer! She appears in the video Hoshi no Flamenco by the Japanese-Spanish Flamenco sensation Rayito. We found the video here, and we really liked it. The premise of the video was very simple but her dance added a nice touch to it. We especially liked the use of the kaleidoscope view of her dancing. The song is a sad one about a man who misses his girlfriend. It was a pleasant surprise to hear of this sighting and we think Rayito does a very good job of merging Spanish Flamenco with Japanese lyrics. 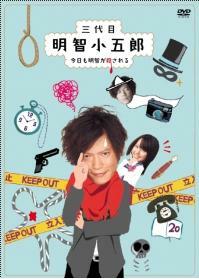 Masaya Kikawada in New Movie About Physics! This made me squeal with academic delight when I read this. 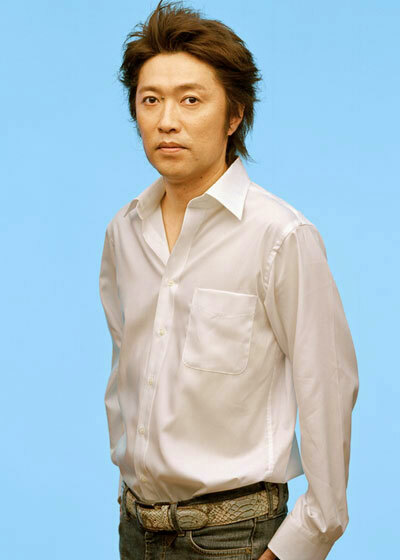 Masaya Kikawada (Motoki in PGSM) plays the genius Airi in Kamisama no Puzzle. This movie is about some students of physics who want to work out the mysteries of the “God Particle” (the particle that began our universe). Airi is a genius, but argues the other side saying that it cannot be found. The film was well written so anyone could watch it, even if they didn’t understand physics (they would learn what they needed to know in this movie). Unfortunately, Kadokawa Pictures is not doing very much promotion for it, and we’re a little dismayed. Masaya has had quite a few notable roles over the last few years (especially with his work in Kamen Rider) and there should have been a little more. 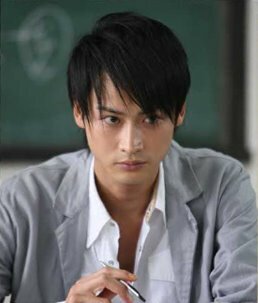 Besides, we like it when Masaya plays someone smart!